What an easy trick! Paint the toe of a pair of thrifted pumps. Might also look cool with gold glitter! Get the how to here. 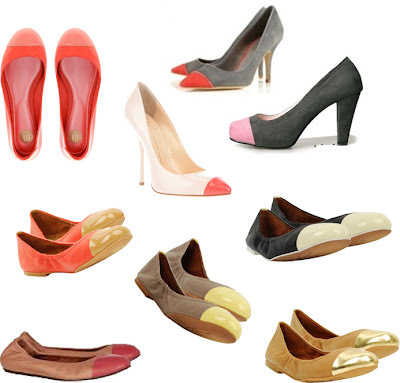 Get the look of the retail pumps below for MUCH MUCH less! So much nicer than my usual magic marker trick!